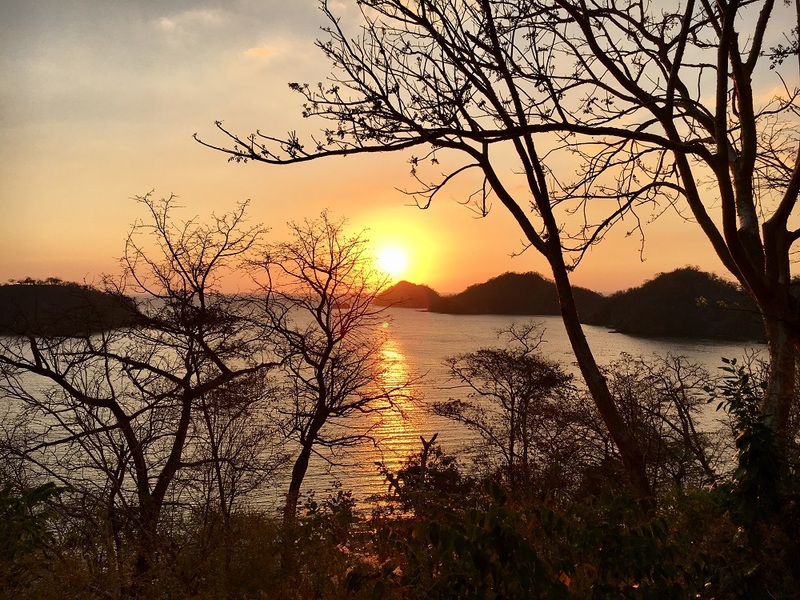 The She Travels Free team just returned from a wonderful four-day luxury getaway in Costa Rica, an ecological wonderland, where the combined cost of our luxury hotel, roundtrip flights (which included first class) and rental car tallied up to less than $1,000. Absent my simple travel loyalty strategies, the cost of our flights, hotel and car rental would have been well over $4,000! We saved over 75%. Now that’s what I call a Luxury for Loyalty experience. And the monkeys! I can’t forget to tell you about the monkeys. But first, the how-to on the trip. First, we redeemed 70,000 Alaska Airlines Mileage Plan miles for two tickets to fly from Seattle, through Los Angeles on to Liberia, Costa Rica. Those two tickets would have cost close to $1,400 for two one-way flights in Coach. Instead we only paid $85 (that’s right – just $85!) to cover the taxes and fees for each ticket. And because of our Elite status with Alaska Airlines, we were upgraded to First Class from Seattle to Los Angeles, worth even more value. For the return flight home, we paid cash, which is sometimes a better option than using award miles, as we found a reasonable fare for $550 for two tickets. And again, we were upgraded to First Class on our Los Angeles to Seattle flight. What a great way to start and end a vacation! In addition, each of us earned approximately 3,500 Alaska Airlines miles for the cash flight plus a 125% Mileage Plan Elite bonus. And those 8,750 miles are worth $175 (we value Alaska Mileage Plan miles at 2 cents per mile). So, when you subtract the value earned from the price paid, we actually only paid about $375 cash for both flights combined. 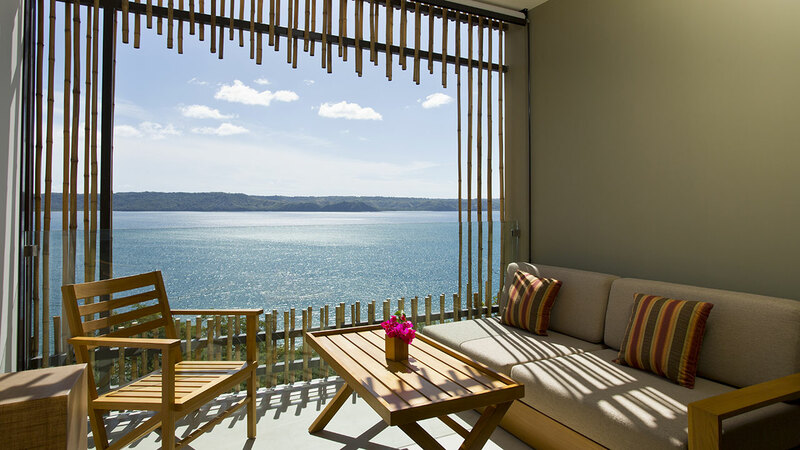 We stayed three nights and four days at the amazing Andaz Peninsula Papagayo Hotel & Resort. Andaz is part of the Hyatt brand portfolio and the resort is only a few years old. The quality was about as perfect as you can expect from a luxury resort, embracing the “Pura Vida” (pure life) Costa Rican way of living. We were warmly greeted in this serene setting and upgraded to a beautiful room overlooking the bay on the top floor of one of the buildings tucked into the hillside. Our room featured floor to ceiling windows and a wonderful covered veranda with an impressive indoor/outdoor shower. The Andaz is located in an exclusive gated community stretching along a peninsula with very discrete upscale resorts, private residences, a beach club, golf course, and marina, all within 30 minutes of the Liberia Airport. All in all, there is a real feeling of remoteness to the area with long stretches of empty shoreline and forested hills between developments. As a World of Hyatt Globalist member (their loyalty program’s top tier), we were treated to free breakfast each morning and that saved us at least $75 each day. 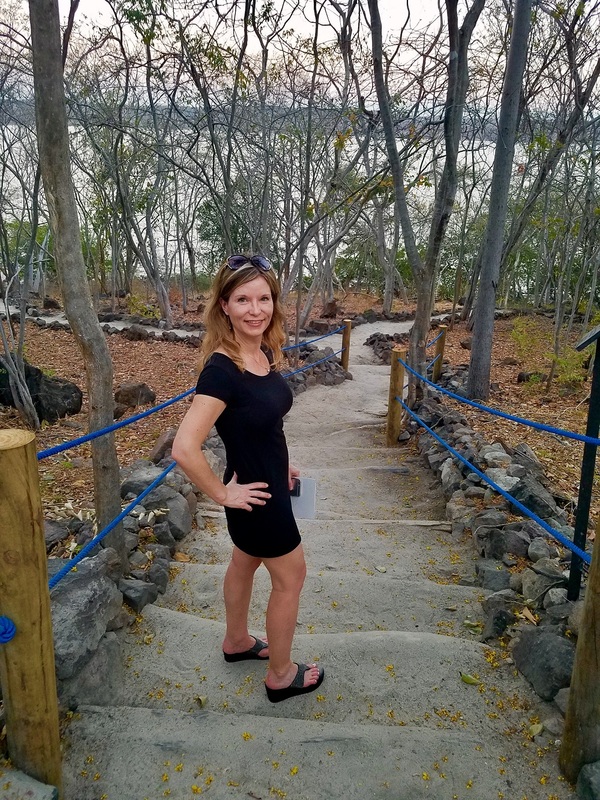 The breakfast was in an open-air restaurant setting overlooking the main pool and Culebra Bay below and consisted of multiple stations of hearty, healthy and tasty dishes served by the delightfully friendly staff. Our room was entirely free for all three nights saving us over $2,000. We were able to use the free annual night Hyatt provides just for having the Chase Hyatt Visa and we used 15,000 points for each of the other two nights (30,000 points total). And a new perk in the World of Hyatt program is no resort fees for members when you redeem award nights! This saved us $35 each day. 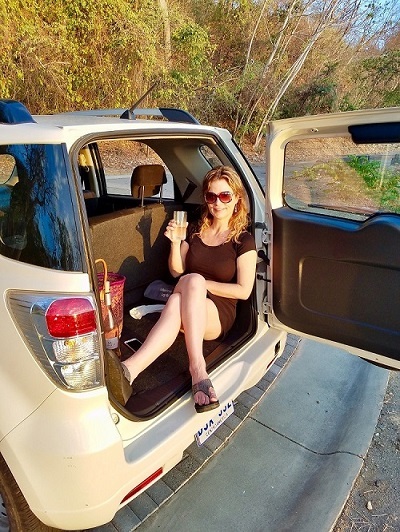 And because we rented a car from National Rental Car at the airport upon arrival, we had the luxury of exploring the peninsula during our stay. The rental was only $165, including all the necessary insurance, and parking at the hotel was free. Doing a bit a research, we realized a taxi would have cost us $90 each way for the 30-minute ride from Liberia Airport to the Andaz and $150 each way had we booked our transportation through the Andaz. So renting a car made good economic sense and was quite convenient. Leaving the resort behind one evening we ventured over to a remote bluff on the other side of the peninsula to watch the sunset, turning the rental car into a sort of mobile wine bar. 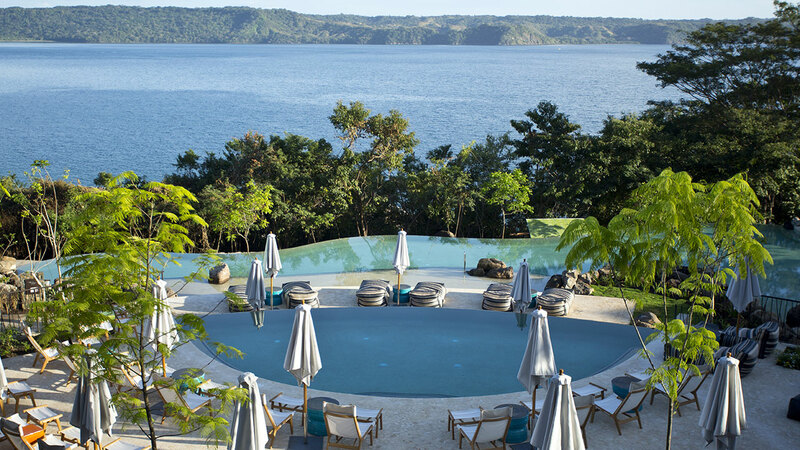 I would highly recommend Costa Rica and the Andaz, it’s difficult for me to overstate the kindness and competence of the staff, and the serenity of this eco-friendly resort. With a kids club and two family pools tucked off in their own area we sought out the spa for massage and the serene adults-only pool, where we were able to thoroughly relax with only the breeze and birds touching our ears. Back on land we enjoyed hanging out with the iguanas and monkeys at the resort. 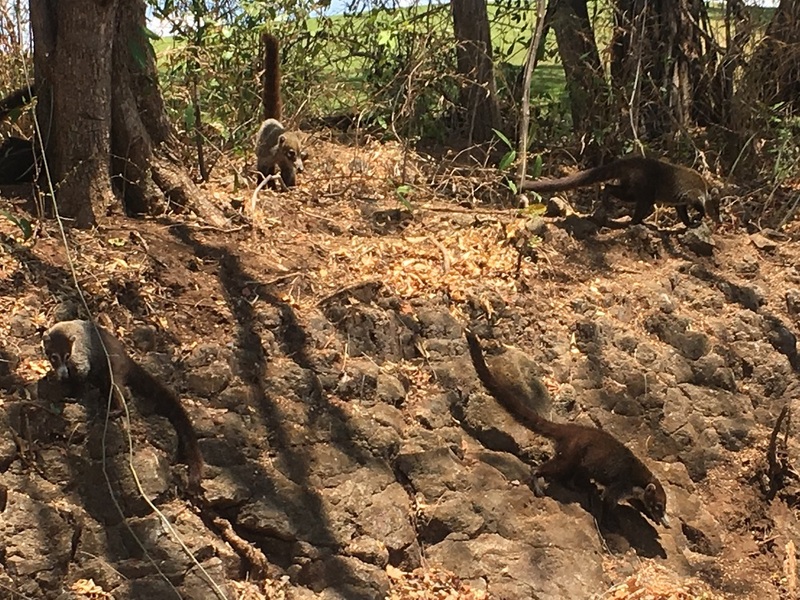 We even saw a candle (look it up) of anteaters while driving around the peninsula! 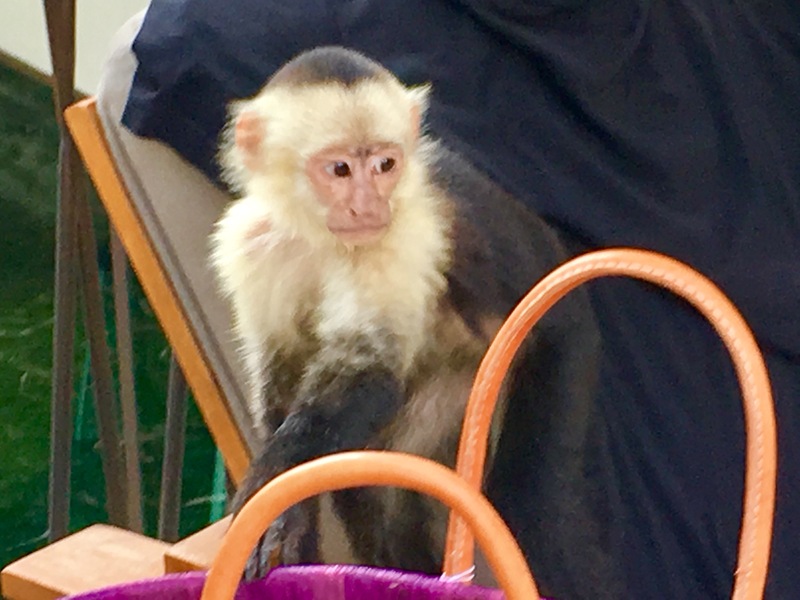 You’ll share your time at the Andaz with the howler monkeys, that occasionally make a lot of noise with their ‘howling’ and the capuchin monkeys, which are playful and quite sweet. You can see why the capuchin were recruited by 19th-century organ grinders. But be careful, they will swipe your food when you aren’t looking and like shiny objects even if they are deep in your beach bag! The resort has three exceptional restaurants, provides free mini bar snacks and non-alcoholic beverages, and has an impressive number of planned activities each day, mostly for free. 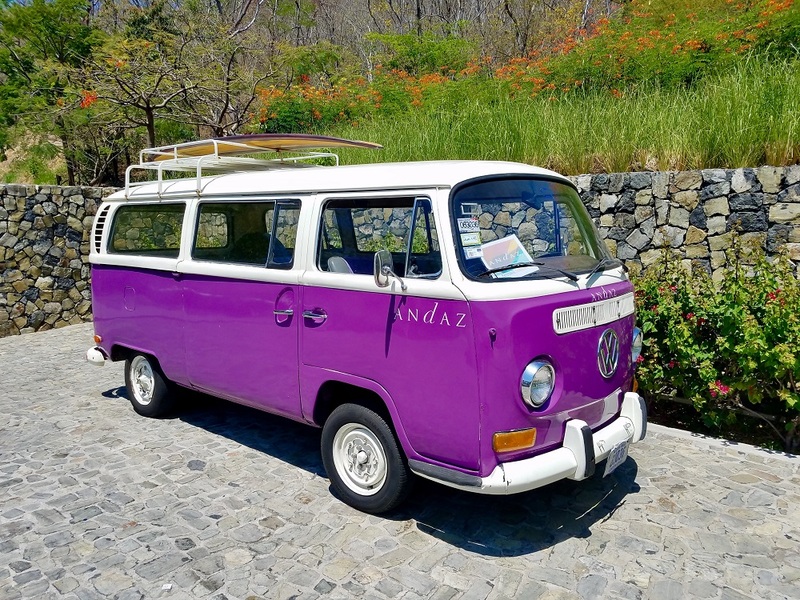 During your stay you also have access to a free shuttle between the Andaz, the beautiful Prieta Beach Club and the neighboring Four Seasons Resort. We visited both during our getaway and while the Four Seasons was beautiful as you’d expect, we much preferred the Andaz for the tranquility, beauty and architecture. The beach club is on the Pacific Ocean side and Four Seasons straddles the narrowest part of the peninsula affording it both bay side and ocean side beach areas only a short distance apart. One thing not to miss is a Costa Rican sunset, which can be enjoyed at the beach club or the Four Seasons (or from the back of an SUV). Follow our simple strategies to enjoy travel for typically less than a quarter of the retail costs of your airfare, hotels and car rentals! 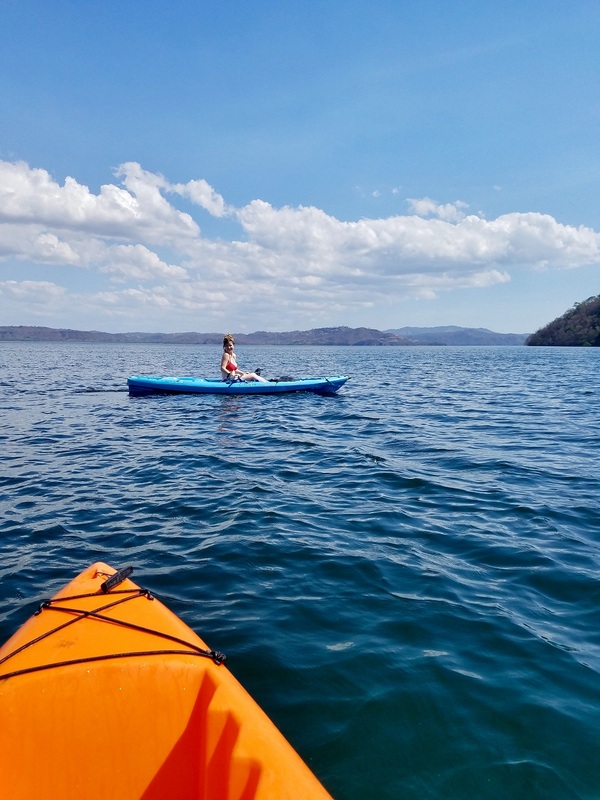 And we saved $3,000 for our three-night stay in Costa Rica. Overall an impressive She Travels Free long weekend away! So book your flights early and LOOK before you BOOK so you never miss great airline, hotel and car rental discounts, Perks and Tips from trvlvip! She Travels Free and so can you! Go ahead and sign up for FREE travel updates so you never miss an important update on the travel loyalty programs you care about most! And be sure to check out our other examples of how She Travels Free in action! I will end with one more important trvlvip tip. Luxury doesn’t end when the trip comes to an end. We’ve discovered how easy it is to bypass the long customs lines when entering the U.S. from a foreign country. Global Entry is one of the greatest decisions we’ve made related to travel. For $100 for 5 years (only $20 per year) and very little hassle, you will breeze into the U.S. in minutes. We were whisked through customs and security at Los Angeles in a matter of minutes, while those without Global Entry waited in lines taking at least an hour! We’re always surprised how few seem to know and take advantage of this easy one. So sign up for Global Entry, or at least TSA PreCheck! We greatly appreciate when you click on any of our links or ads and book a stay directly on the travel partner’s website! We have the potential to receive compensation, which allows us to provide our helpful travel updates and advice to you FREE of charge! For more information see our Advertising Policy. Many thanks!